Click here to view this photo book larger, such a fun way to preserve special memories! Preserve those special family memories forever! With 10 Free note cards from Vistaprint, you can do more than just write notes. Give your child a notecard, pen and paper to practice her cursive or numbers. Your son will love to write in personalized note cards when writing to his pen pal. Looking for a unique gift? Choose the perfect design or upload your own and personalize with names and special messages. 10 Free Note Cards = 10 Free Thank you Cards = 10 Free Cards to Practice Hand Writing and more!! How many people would have to be hired to do all the things you do for your family? Salary.com estimates the average stay-at-home mom would earn $117,867 per year if she were paid for all the work she does. Those figures blow my mind, as a stay-at-home mom I only wish I were to get that kind of income each year. However, I wouldn't change my status for anything - the bonding and the memories are worth much more than that! Did you know that half of Americans say they are under-insured? That’s 58 million* of us. And 70%* of people with kids under 18 say they would be in serious trouble if something happened to the primary breadwinner. It scares to to think what would happen to our family if we didn't have the proper insurance coverage for our family. Luckily my husband is very insurance savvy and knows what to do to take full advantage for our family and to support our future in the event of an emergency. 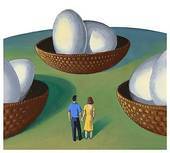 Even before we were married and had children, my husband had his insurance needs effective and working for the future. 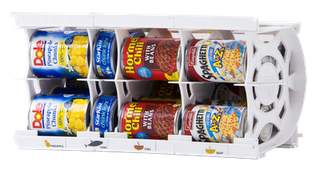 This is the perfect start to getting your cupboards organized! Don't forget to enter before it's too late! Hurry on over to Pillsbury's Facebook page to claim your coupon for a FREE breakfast. Offer is limited to the first 10,000 and I'm sure they will go fast. I just claimed mine and can't wait for my coupon to arrive! It's little things like this that put a big smile on my face! I love freebie coupons! 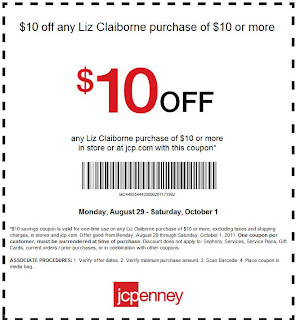 Right now at JC Penney you can enjoy $10 off any Liz Claiborne Purchase of $10! I was there today and in addition to this great money saving coupon, all of their Liz Claiborne collection is on sale! I ended up getting a $30 wallet for just $3.99! If you want to sign up for the JC Penney Newsletter, it's the PERFECT way to get all of their latest money saving coupons and deals delivered right to your inbox! Growing up, Carmex was always the brand that my mom bought and used. Even after all these years, my mom still uses it. She has one in her purse, by her chair and in all 3 of her vehicles. Carmex Cherry was always my favorite growing up (and still is), but I always end up licking it off my lips! I love how soft and smooth Carmex leaves my lips. Not only for a short period of time but for hours! They both have a delicious scent (and flavor) as well as SPF 15. Carmex moisturizes, heals and protects! I want to thank everyone who entered my DoodleMark Giveaway - 3 Winners. I would also like to thank the giveaway sponsor, ReMarkable Reading Concepts, for sponsoring this great giveaway for my readers. 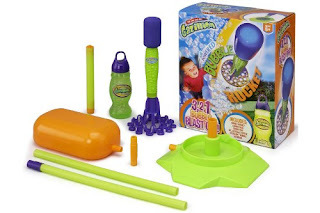 I want to thank everyone who entered my Gazillion Bubble Rocket Giveaway. I would also like to thank the giveaway sponsor, Funrise Toys, for sponsoring this great giveaway for my readers. There isn't a parent or grandparent out there that wouldn't LOVE one of these! 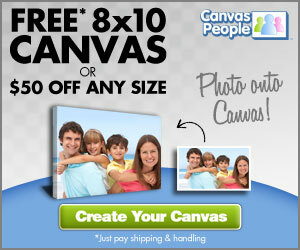 You get a FREE 8x10 photo canvas or $50 off the purchase of a larger size. Shipping and handling is around $14, which is still an AMAZING deal. I've only been in two weddings, my wedding and my sister's wedding. Once I was the bride and the other a bridesmaid! I've been married to the man of my dreams for 12 years now and I still love looking through our wedding photos. I was recently offered the chance to host a Bridesmaids themed party to celebrate the September 20th release of the movie on DVD. I'm thrilled and can hardly wait! I've seen the previews on television but didn't get the chance to see the movie in theaters. From what I've seen Bridesmaids looks hilarious and I'm really looking forward to an evening of fun, snacks and lots of laughs! Of course, it wouldn't be complete without a variety of cake pops and party favors! 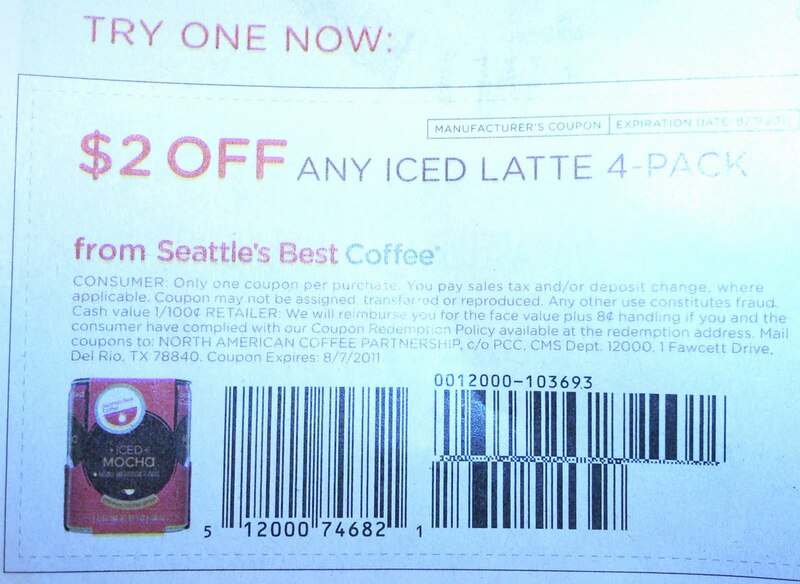 With Coupons.com you can Print Free Grocery Coupons! 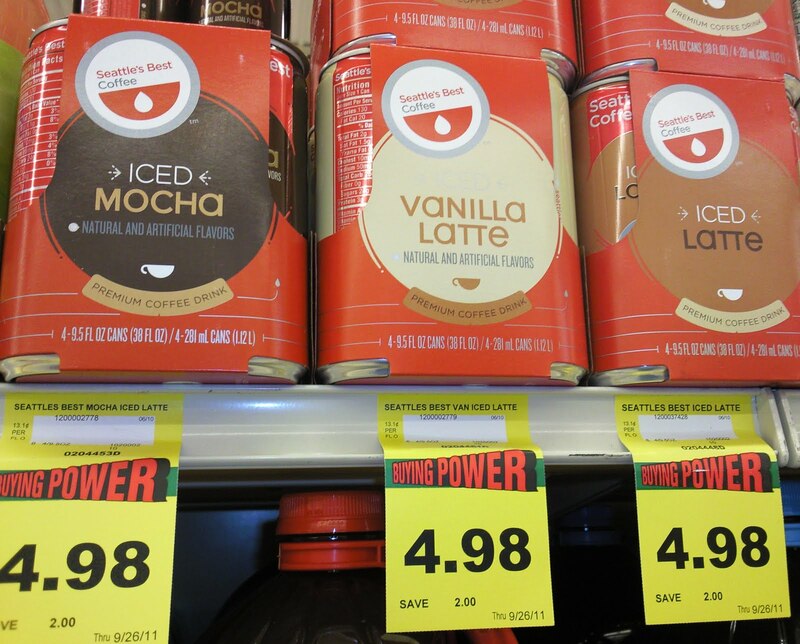 They provide free online printable coupons to shoppers on behalf of large manufacturing companies to save you money! Spending time together as a family is a top priority in this house. Finding games that the entire family can enjoy together can prove to be difficult. Especially when your children are several years apart in age. Continuum Games open the lines of communication and provide hours of entertainment. When it comes to our children, communication is the key! I love the fact that Continuum Games easily opens the lines of communication and learning. It's fun for the entire family and acts as a valuable learning tool. You learn things about every member of the family while laughing and having a great time. I want to thank everyone who entered my HearthSong Folding Chair Giveaway. 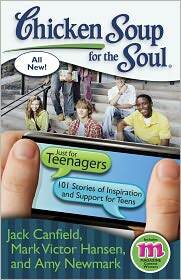 I would also like to thank the giveaway sponsor, HearthSong, for sponsoring this great giveaway for my readers. Sadly, the first winner didn't respond so a NEW winner has been chosen. 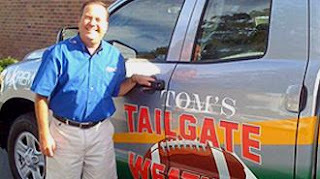 Tom's Tailgate is an annual event that starts at the beginning of September and goes through the regular high school football season in late October. Which game should Tom Sherry visit for this week’s Tom’s Tailgate? You will find a choice between two games. Vote for the game you want Tom to visit. You can vote as many times as you want! Voting ends Wednesday at 11pm! We are currently leading with 52% of the votes (1244) VS 48% (1143). You're going to LOVE this Lip Smackin' Giveaway! End the summer with a BANG! Do you remember the days without cell phones? I'm one of those "late bloomers" that didn't get my first cell phone until I was an adult and actually got it just months after my first son was born. In fact, I've only had a cell phone for the past 10 years. Now, we don't have a landline and I can't imagine a what I would do without my smartphone. Straight Talk has everything you need for a fraction of the cost. In fact, it can cut your monthly bill in half! The best part may just be the fact that there are no contracts and no surprise charges on your monthly bill. As a frugal mom who makes her pennies count, trust me because we all know that mom knows best. The “All You Need Plan” meets even the needs of heavy phone users with 1,000 minutes, 1,000 texts and 30 MB of web data each month. Unlimited monthly service is a low $45 and that's something to brag about! You can call a friend or call all of your friends, it doesn't matter! With the ability to choose from a variety of smart phones; touch screen phones, and app capable phones they will have you Hook, line and sinker. Just think of the money saving possibilities... what would you do with the money you could save by switching? A TracFone is convenient and most importantly affordable. With so many features and monthly plans as low as $9.99 it is sure to be the perfect fit for any family. You can pay as you go which allows you to choose freely and without long-term contracts which is perfect for your children. There are no contracts to sign, no credit checks, no activation charges or cancellation fees. No surprises! Those are all great selling points for real TracFone customers whether they are long-time or first time customers. TracFone offers the least expensive way to own and use a cell phone in America, HANDS DOWN! If you're not convinced, just ask any real TracFone customers for their honest opinions and you might just be surprised at what they have to say. How old were your children when they got their first phone? Or how old do they have to be in order for you to get them one? My Most Recent FRUGAL Deals - Total Savings $237.03! 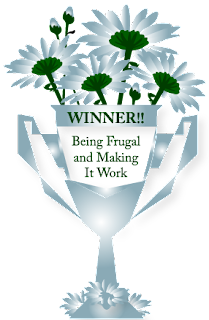 I am proud to be a frugal shopper, I find excitement joy in saving money! The more I can save the bigger the thrill! In the end, I only spent $47.92 on $284.95 worth of great items! That's a total savings of $237.03! Here are my most recent frugal buys. 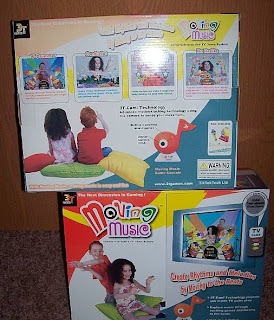 At Radio Shack I bought 2 Moving Music interactive games. 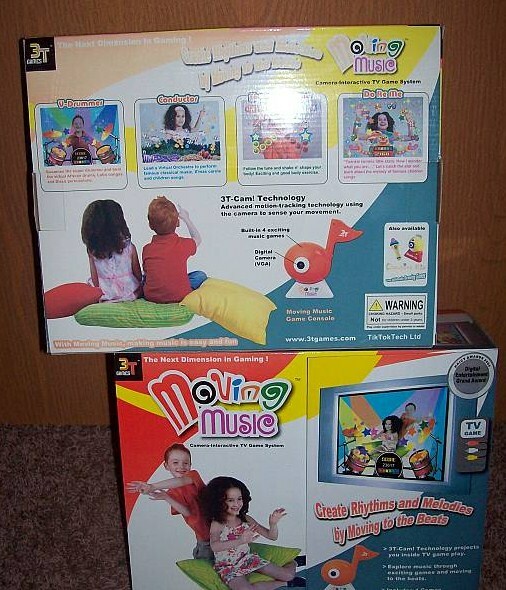 You plug it into the TV jacks and it actually puts you on TV where you can play the interactive games. These are going to be Christmas or Birthday gifts! They were normally $39.99 each and I got them for $1.97 each! That's a savings of $76.04! 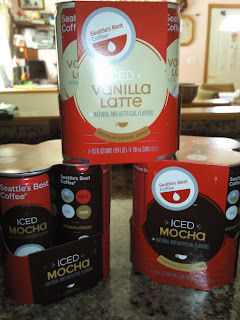 I was one of the lucky Gather.com members to receive a sample of of the McCormick Recipe Inspirations. I didn't know which flavor I was going to receive, so I was very excited when mine arrived in the mail. 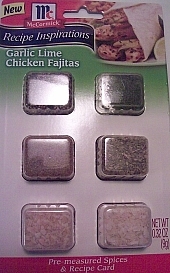 I received the Garlic Lime Fajitas packet. I actually used steak instead of chicken, because I just happened to have steaks thawed out for dinner that night. We also added sliced olives, shredded cheese and rice. Hubby doesn't like lime, so I was a little nervous about what his reaction was going to be. I didn't tell him there was lime juice in it, he said they were "quite tasty!" I've been looking for some frames for several months now! I have a hard time $25 and up for a nice frame but I didn't want to get cheap frames for the pictures I had to put up either. I wanted something nice but was watching for a great deal to come along before making my purchase! I knew I would find something, I just didn't know when. I was at Kohl's and noticed that some of the frames were 70% - 80% off. I ended up getting 4 frames (10x13 and 11x14) for just $25.19. Which was the price of 1 originally priced photo album! This was one of those rare times when I didn't have a Kohl's % off coupon but this was still too great of a deal to pass up! The original prices were $24.99, $25.99, $32.99 and $34.99. 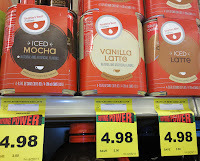 I paid $4.99, $5.19, $6.59 and $6.99 for a total savings of $95.20!!! Best Kept Secrets of Seattle, Washington - Take the Kids! Growing up in the Pacific Northwest, I have visited Seattle, Washington many times over the years. I grew up in a small town with a population of just over 300 people, it has since grown to a population of just over 700 people. I clearly remember the first time we went to Seattle as a family. I was amazed at how BIG everything was. There were so many tall buildings, so many cars, so many people. Even those simple things I clearly remember after so many years. Seattle, Washington is the northernmost major city on the West Coast and the largest city in the state of Washington. A seaport situated on a narrow strip of land between Puget Sound (an arm of the Pacific Ocean) and Lake Washington, about 100 miles south of Canada. Money Saving New Coupons.com Coupons - $2 Purina, $1.50 Ziploc and MORE! Amazing money saving coupons perfect for Back-to-School snack shopping! Look at these great money saving coupons! Growing up in the Pacific Northwest, I have visited Seattle, Washington many times. When our original honeymoon plans fell through just a week before our wedding, we decided to once again take a trip to Seattle. There are so many different things to do in Seattle that there is never enough time to do them all. Seattle is named after Chief Seattle, leader of the Duwamish and Suquamish tribes. A prominent figure among his people, he pursued a path of accommodation to white settlers. Seattle is the birthplace of rock legend Jimi Hendrix and the music style known as "grunge," which was made famous by local groups Nirvana, Alice in Chains, Pearl Jam, and Soundgarden. Seattle has a reputation for heavy coffee consumption, there seems to be a coffee shop everywhere you look and on every corner. 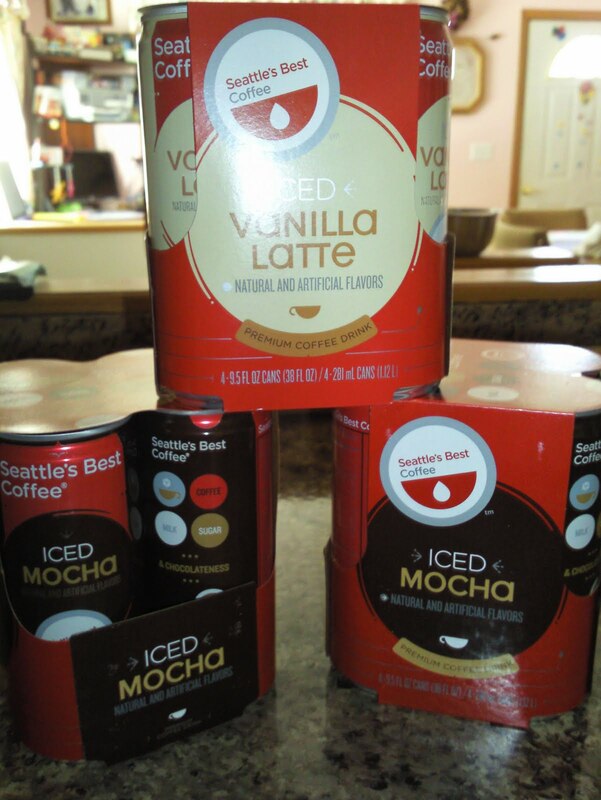 Coffee companies founded or based in Seattle include Starbucks, Seattle's Best Coffee, and Tully's. Get your Free Photo Wall Calendar from VistaPrint! The Calendar is FREE Just Pay Shipping and Processing. Choose from a variety of designs and upload your own photos. Add icons and notes to specific dates so you remember important events. You can even start your calendar any month of the year! Offer valid Monday, August 22 through Friday, August 26! Between TerraCycle’s long-standing programs for food and beverage packaging and new launches like Logitech (to collect e-waste), they have plenty of recycling options for the home, classroom, lunch room and beyond! This giveaway is out of this world! 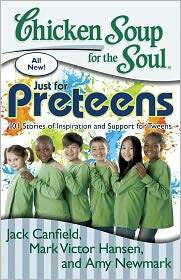 Don't miss the chance to let the children in your life have a GAZILLION laughs! As much as I hate shopping for jeans for myself, it's even more of a struggle to shop for jeans to fit my 10-year-old son. My son has always been long and lean. When he was 4 years old he could still wear shorts that said 12 months. It's always a struggle to find jeans that are skinny enough around the waist but long enough to fit him. Adjustable waist bands don't always do the trick. I recently had the opportunity to review a pair of dENiZEN jeans for my son. I'll admit that I was skeptical about getting a pair of jeans in the mail without having had the chance to try them on him for the proper fit. Last week when we went school clothes shopping he tried on 13 different pairs/styles/brands of jeans and none of them fit him properly. I'm sure you can imagine my excitement when he tried his new dENiZEN boys' jeans on and they actually fit him! Finally! A pair of durable and affordable jeans that fit my sons' tall, skinny body. I was very close to doing the "happy dance" all over the house. Not only do the jeans look great but they fit him perfectly. Looking for the perfect gift? Get your Free Photo Wall Calendar from VistaPrint! The Calendar is FREE Just Pay Shipping and Processing. Choose from a variety of designs and upload your own photos. Add icons and notes to specific dates so you remember important events. You can even start your calendar any month of the year! To celebrate the oak flavor of their new Wood-Fire Grill, The Outback Steakhouse is giving away 1,000,000 free steak dinners! Hurry on over and get your coupon for a FREE STEAK DINNER! Starts at 9:00 p.m. in the time zone based upon entrant’s city of residence. Ends 8/26/11 or when limit has been exhausted. Head over to the Disney Movie Rewards and enter the code D23 for 25 points! Be sure to check out MY DMR while you're there as well to complete any surveys that are available to you - you also earn points for completing surveys! For the next 9 hours you can get a Motorola Micro USB Vehicle Power Charger With Built-In USB Port & LED Power Indicator for ONLY $1 and that includes FREE SHIPPING! It's original cost is $29.99 so that's a savings of 97%! Their $1 + FREE SHIPPING deals are always my favorites! For the past few months I've ordered numerous gifts that are perfect for birthdays and Christmas! I am a freak when it comes to shopping sales and clearance. And when I can add a coupon as well, I'm thrilled! I always shop for next season when they clearance the items the previous year. I can't bring myself to pay full price for kids clothes very often because they outgrow them so quickly! So, here is my most recent shopping trip that I'm so thrilled to share. I just went and bought all the winter clothes my kids will need for the upcoming fall/winter season and I saved a total of $762! I shopped the clearance sales and had coupons for EVERY single store I shopped at and here's what I got. I ended up getting $948 worth of clothes and I only spent $186! Not too shabby I'm thinking for dressing two kids in great clothes! A couple examples of my savings: I ended up getting an $80 Columbia coat for $10! And a pair of $30 Nike's for 52 cents! The Nike's were $30 regular price. They were on clearance for $10! I had a $10 coupon and had to pay 52 cents tax! thredUP.com 48 hour Back-to-School Flash Sale - 1st Box FREE! The thredUP community - where moms swap kids clothes and toys. The service is free to join and boxes of preloved clothes and toys costs just $5 plus shipping. Because we know you will love thredUP we're giving new members a special, one-time offer of your first box on us (FREE! 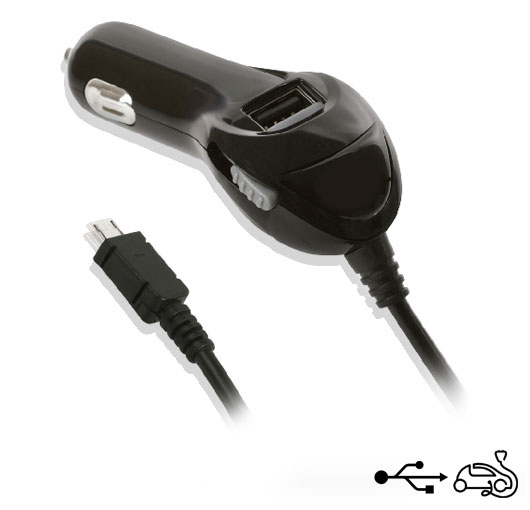 - you pay only $10.95 shipping) if you sign up today. 1SaleADay has quickly become one of my favorite websites for frugal deals! 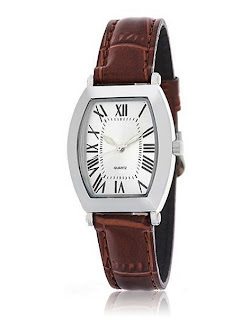 For the next 15 minutes you can get a Art Deco-Style Watch With Quartz Movement, Genuine Brown Leather Strap for ONLY $2 and that includes FREE SHIPPING! It's original cost is $89.99 so that's a savings of 98%! Free Downy UnStopables: Two Times the FREEBIE Offers! There are two FREEBIE offers for Downy UnStopables right now. HURRY on over and grab yours before it's too late. 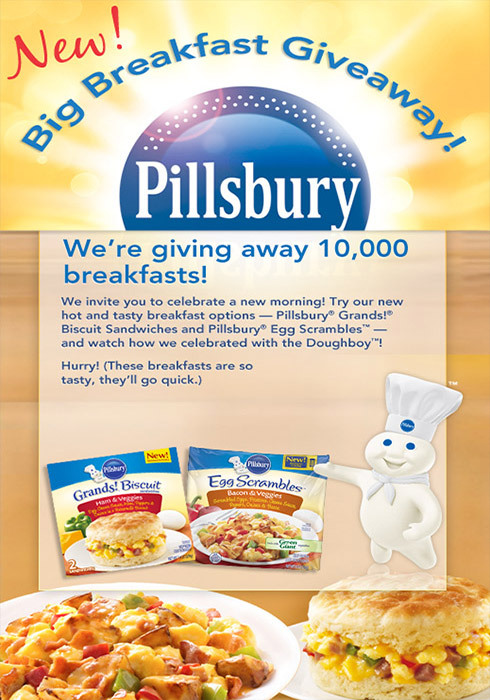 these great freebies won't last long. Vocalpoint members can pick up their free sample and then be sure to head over to the Downy Facebook page for a second freebie offer! Only while supplies last.